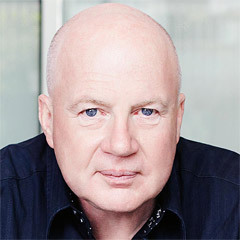 The answer in this case is Bob Seelert, Chairman of Saatchi & Saatchi. I’ve just had a sneak preview of a book written by Bob called Start with the Answer: And Other Wisdom for Aspiring Leaders (Wiley). Smart advice from a very smart man. You may recall that it was with Bob Seelert that I first sketched the Love/Respect Axis when I was working out the basics of Lovemarks. Working on a table napkin, he gave yet another demonstration of his skill at taking a complex situation and distilling it into clear, concise ideas. Best of all, they're ideas you can act on. This skill is exactly what his book showcases. 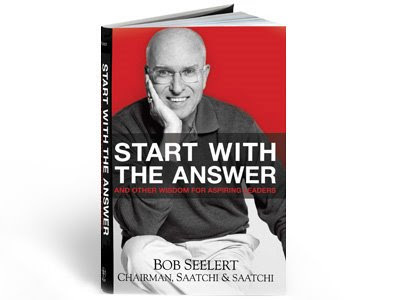 Take “Start with the Answer”, which is so fundamental to Bob’s approach it just had to be the title of this book. “Start with the answer, and work your way back to the solution.” Instead of picking over past problems, focus on where you want to be and then, how you are going to get there. It’s solid advice, and Bob gives it new energy and relevance by expressing it as a paradox. That’s true wisdom: take a simple and important idea and talk about it so that people feel its power anew. 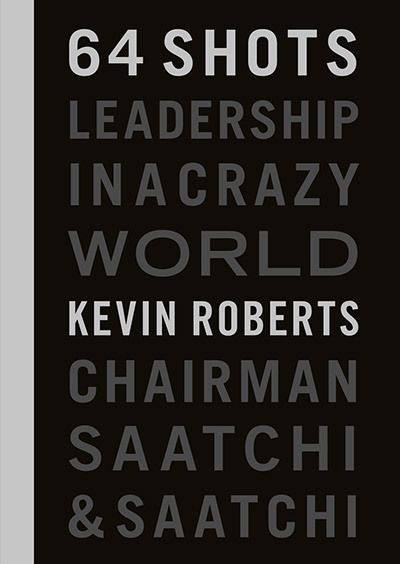 I think Bob’s book is a new kind of business book that we’ll see more of over the next couple of years. Personal, grounded in experience, practical, and succinct. The idea that business is a battle and that business books need to explain how to defeat the enemy has run out of steam. Bob suggests that business has lost direction and I think he is right. We need new perspectives on leadership because today working out how to work together is where the action is. I like the way Bob talks about wisdom. He’s not afraid of experience; he’s not into the next new, new thing; he draws as readily on his family (especially his wife Sarah) and friends, as his business colleagues. He’s about mentoring, reflection, and fantastic practical advice. As Start with the Answer comes up to its launch date on 5 May I’ll have more to say.